SQL Data Compare helps you compare and deploy changes quickly, simply, and with zero errors. What can I compare and synchronize? 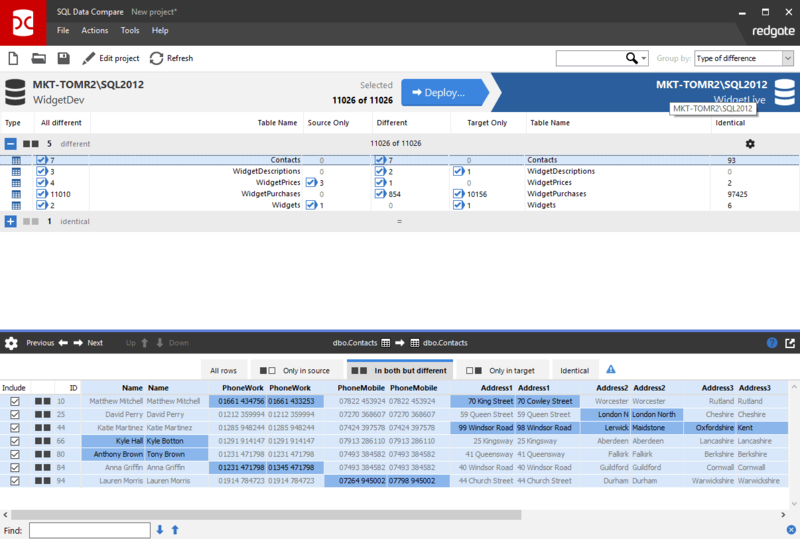 Lumidata uses SQL Data Compare Pro as part of the SQL Toolbelt. Find out how John Trumbul saved a half-year of a developer's salary in his first three months of using the SQL Toolbelt. 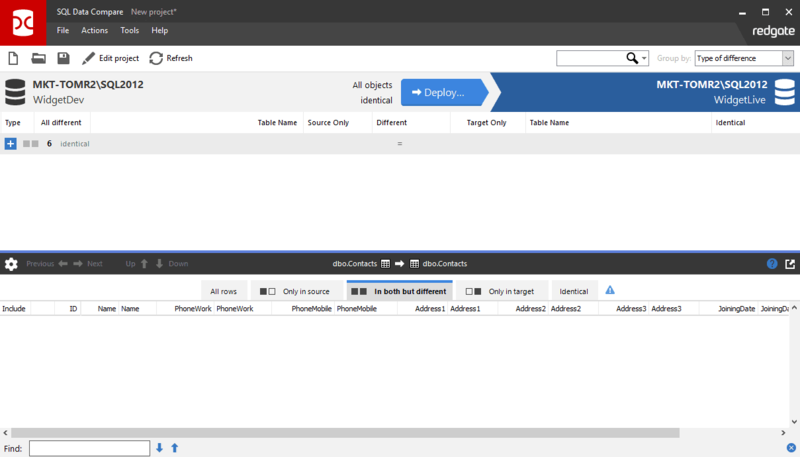 Software architect and Microsoft MVP Troy Hunt uses SQL Data Compare Pro to sync data back down from production, to his test and development environments. “We use SQL Data Compare daily and it has become an indispensable part of delivering our service to our customers. 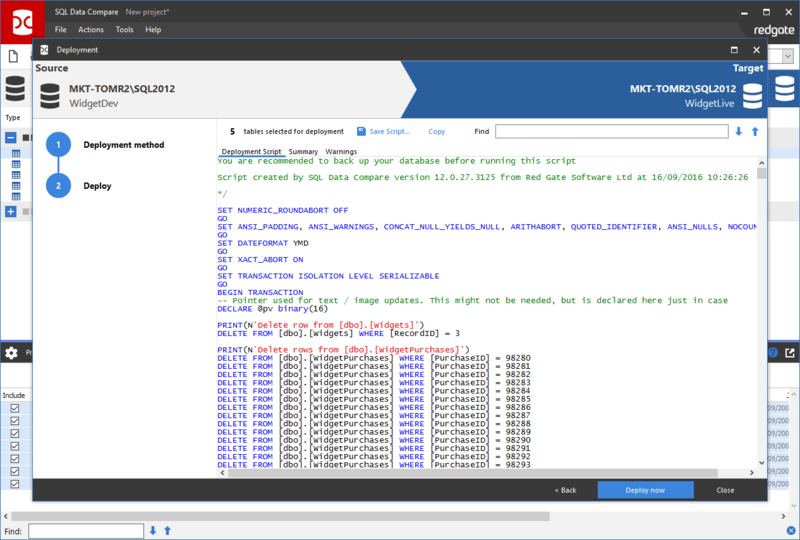 “SQL Compare and SQL Data Compare are the best purchases we've made in the .NET/SQL environment. “I developed a small time-tracking system for my company. 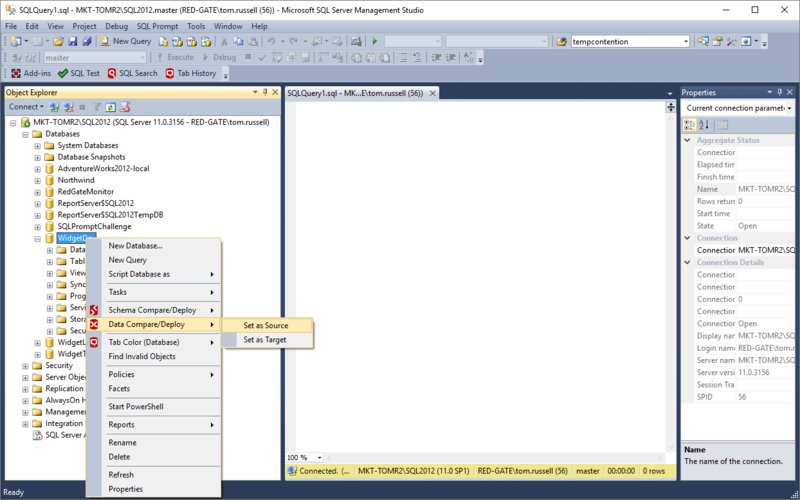 The development version sits on my laptop and the production version runs SQL Server on our network. Since the database is still quite tiny, I like to keep both versions in close synchronization. Download a 14-day free trial, and start saving time with your database deployments today. 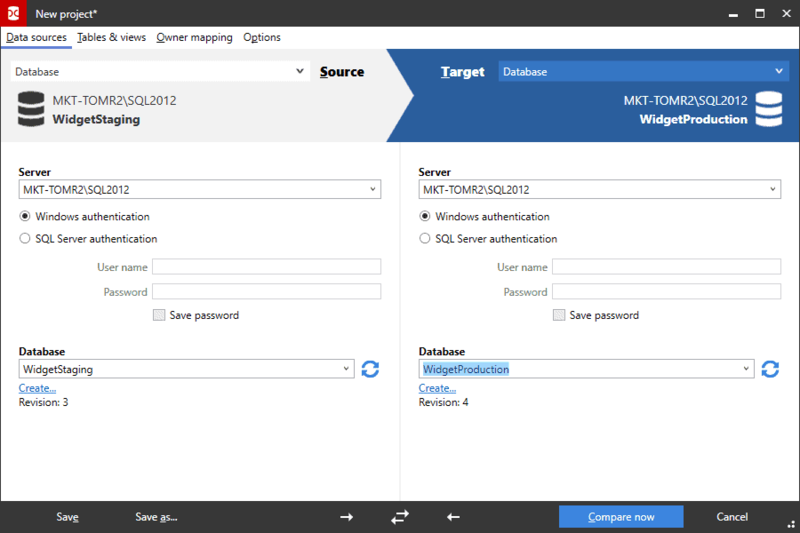 Sync schemas, deploy from version control, and more, with all our SQL Server tools.